I drove up to Santa Fe to visit the Legislature this past week. When I make a trip like that I think it is good to mix some pleasure with business, so I stopped at a historic site I hadn’t been to before. 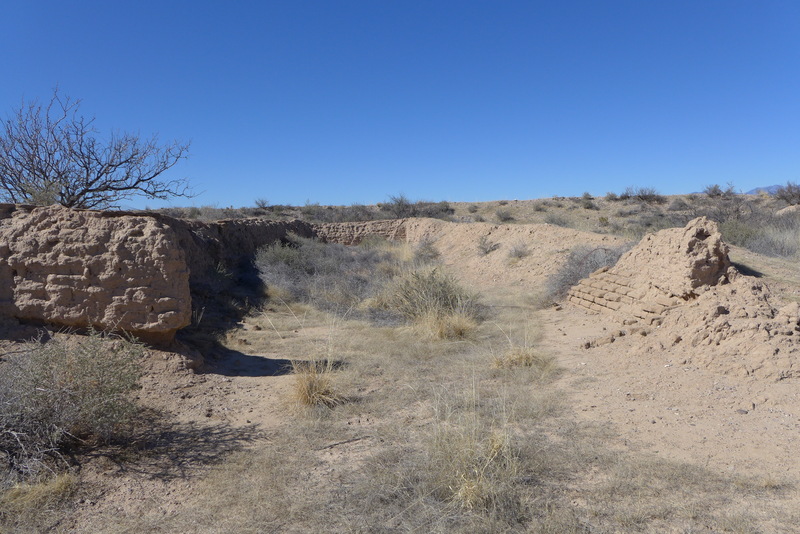 Ft. Craig is near the Rio Grande roughly 100 miles north of Las Cruces. 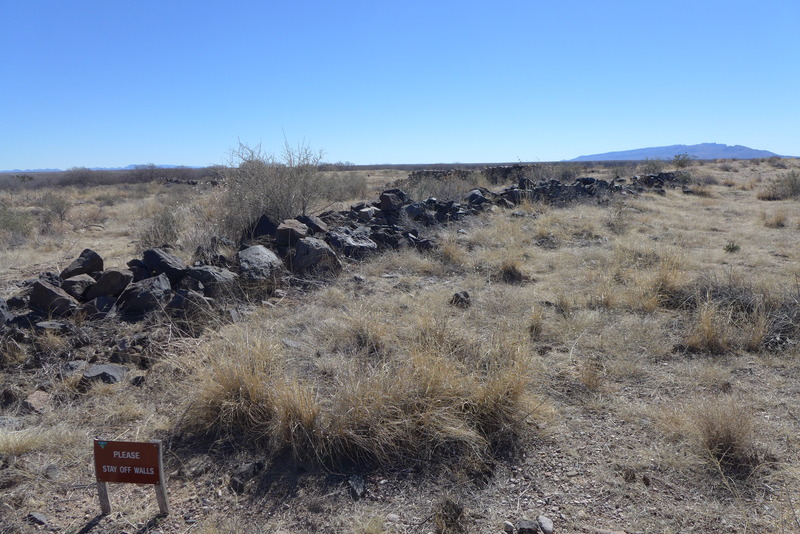 It is located just south of Black Mesa, which was a landmark from the earliest years of Spanish travel into what is now New Mexico. 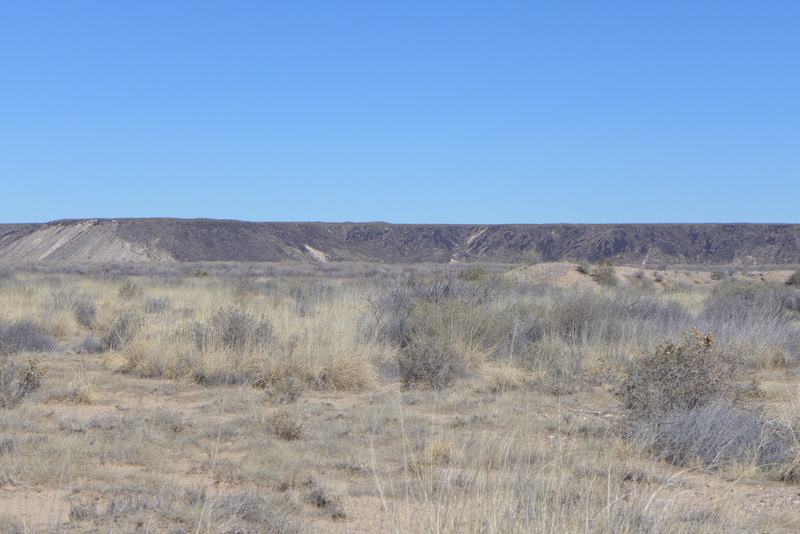 The Rio Grande curls around the mesa. 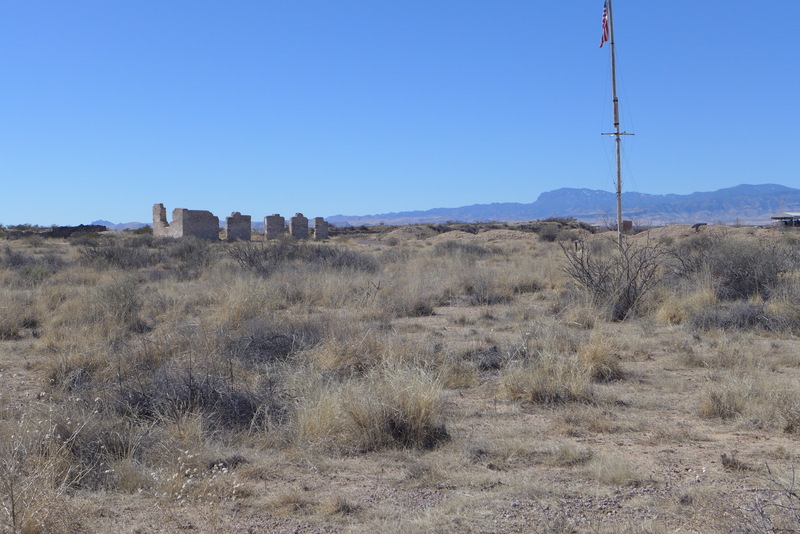 Ft. Craig was the largest of several forts built around the time of the Civil War, partly because of the war, partly to secure the area for people moving in to territory which had been acquired by the United States in 1848. This fort was in use from 1854 to 1885. 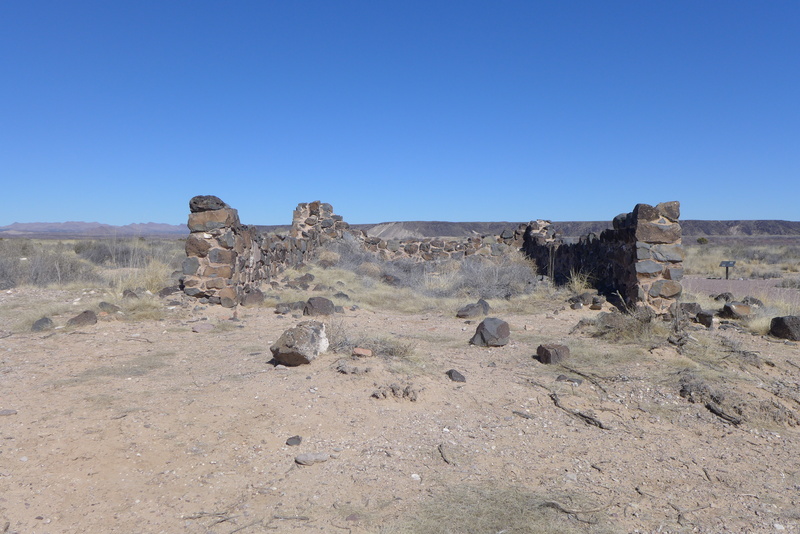 Most of the buildings were built of adobe which has collapsed. A guardhouse was built of stone. The remaining walls of the commanding officer’s quarters have been covered with material to preserve them. 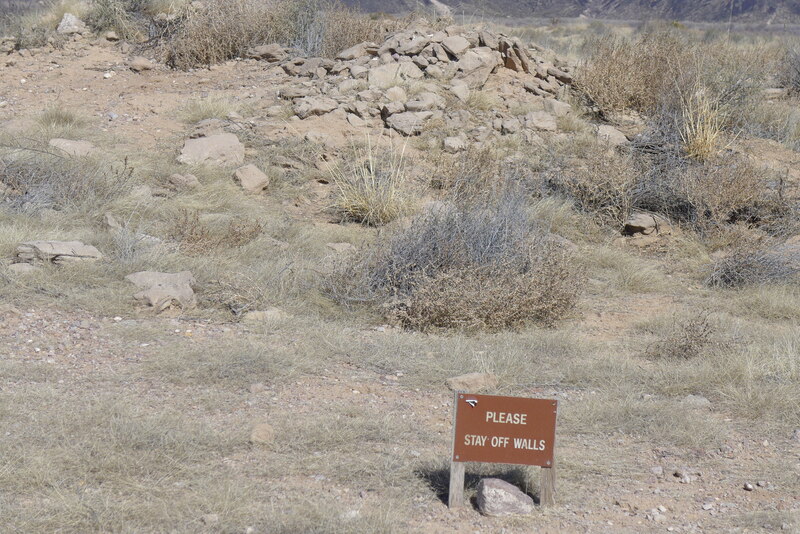 Paths have been created by the BLM (Bureau of Land Management, which has jurisdiction of this property) around the parade ground which doesn’t look like one anymore. Some mounds turn out to be walls. Other walls remind me of Robert Frost’s “Mending Wall” poem. I associate this poem with ruins like this because there are many collapsing territory-marking walls back east in what is now woodland. “Something there is that does not love a wall,” I used to think as I walked a section of the Appalachian or the Horseshoe Trail. Yet parts of them persist. 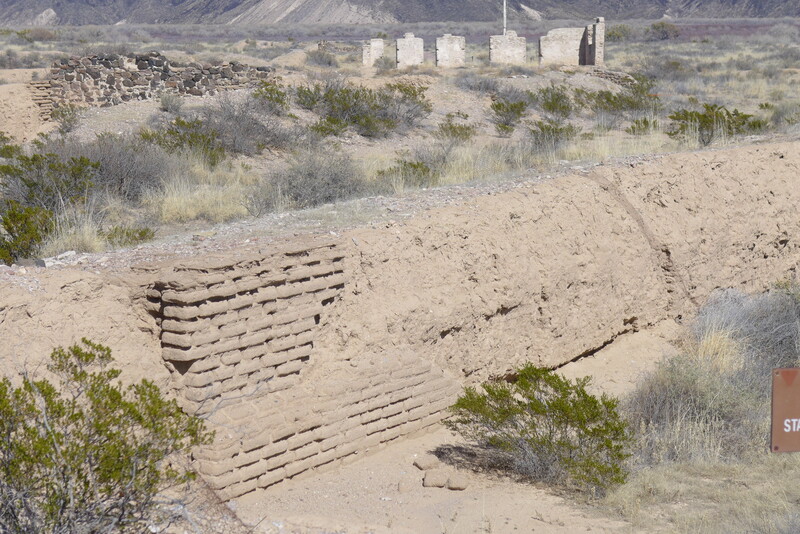 Adobe work can be seen in a set of large storage buildings, which were buried in dirt after construction, the only way to keep things cool in hot New Mexico summers. I took so many pictures I’ll save a few for my next post. And maybe before then I can figure out how to correct the color in these photos. The yellow of the grass and the green of the bushes do not come through as they should. New Mexico is not really this purple.